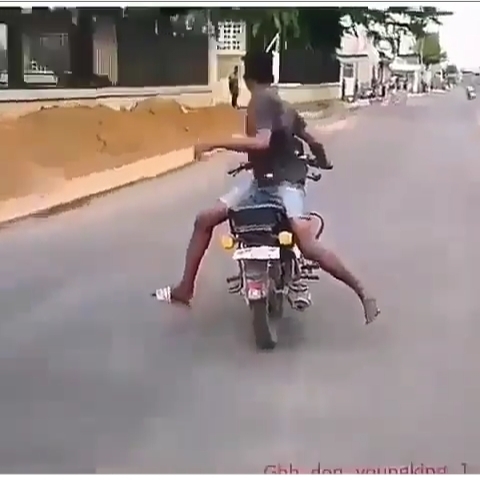 Here is the moment man was nearly killed as he crashes mhis motorcycle while performing stunt. According to the footage, man who had to sit on his bike facing backward on high speed, escaped death as he almost crashed in a building and crushed a little boy. They still need to flog his yansh in the hospital. 80 strokes of kpankere.